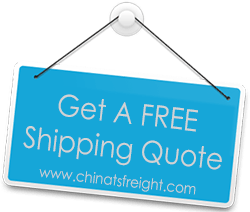 TS Freight offers a range of International Transport Service freight packages for your cargo shipping from China to Pakistan. We offer our customers both Ocean Freight and Air Freight services, so that they can choose the right logistics package based on their needs. Our nationwide services are offered at the most competitive rates and can be customized to suit the specific needs of your import from China to Pakistan business. For businesses that rely on quick and efficient import from China to Pakistan, our Air Freight services are highly reliable. However for our clients who need more cost effective shipping options between China and Pakistan for larger consignments, our Sea Freight services comes highly recommended. We arrange for the pickup of your goods and also handle packaging and inventory when needed. Furthermore, we take over the lengthy process of filling out all documentation forms and handle custom clearance formalities as well, post which, we oversee that your cargo is loaded safely into the right International container. We can transport your goods from any of the major cities in China like Hong Kong, Hangzhou, Tianjin, Dalian, Shenzhen, Guangzhou, Shanghai, Ningbo etc, and can deliver them to all the bigger cities in Pakistan like Islamabad, Karachi, Lahore, Rawalpindi, Multan and more. Our strong sense of commitment and responsibility reflects in the streamlined manner in which we ensure that your cargo reaches from the point of origin in China to the point of destination in Pakistan in the shortest time possible and with no damages incurred on the way, irrespective of the size of your cargo or the mode of transport you may choose.